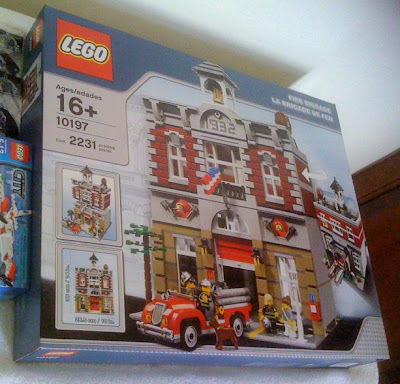 Brick Town Talk: Box - LEGO Town, Architecture, Building Tips, Inspiration Ideas, and more! The release date must be getting close by now... This is from jgptee's collection. i really cant wait until this comes out... but i've been saving up for green grocer for 3 months. It seems to be appearing more and more on Brickshelf etc. I can't wait either. According to the Lego Store monthly Calendar, it will be available in store on Sept 4th. Also, Green Grocer is $30 off from the 4th to the 16th. Oh, sweet. I'll have to take advantage of that. So, 4th to 16th of september? Sept. 4th is the official release date. by the way, the best car accessories for these buildings come from the indiana jones sets. 7682 & 7622 they just match the fire engine nicely.